يقع فندق Richmond Guest House في منطقة تتمتع بمعالم كثيرة، وتعتبر المكان الأنسب لاكتشاف هذه المدينة رائعة الجمال و ما يحيطها. يقع الفندق على بعد 1. Km من مركز المدينة، ويؤمن الوصول إلى أهم مراكز المدينة. يوجد العديد من المعالم السياحية الأكثر جذبًا للسياح في هذه المنطقة. إن الخدمات التي يقدمها Richmond Guest House تضمن للنزلاء إقامة مريحة. يقدم الفندق واي فاي مجاني في جميع الغرف, أمن على مدار 24 ساعة, خدمة غسيل ذاتية, تسجيل وصول/خروج سريع, تخزين الأمتعة لضمان الراحة القصوى لضيوفه. استمتع بوسائل الراحة الراقية في الغرف أثناء إقامتك هنا. بعض الغرف تتضمن سجاد, قهوة فورية مجانية, شاي مجاني, مرآة, صوفا لمساعدتك على استعادة طاقتك بعد يوم طويل. كما أن مجموعة الخدمات الواسعة الموجودة في الفندق لضمان راحتك تترك لك الكثير من الخيارات لقضاء وقتك أثناء فترة إقامتك. إن كنت تتطلع إلى إقامة مريحة وهادئة في المدينة، فستجد في Richmond Guest House بيتك الثاني. تسجيل الدخول غير متاح بعد 10:00 PM. يُطلب من الضيوف الذين سيصلون خارج الوقت المحدد لتسجيل الدخول تزويدنا بالموعد التقريبي لوصولهم في حقل الطلبات الخاصة عند الحجز. يُرجى العلم أن هذا العقار مخصص لغير المدخنين بالكامل. Richmond guest house is a clean place and we stayed there for one night. Breakfast was just variety of cereals and toast. I wasn’t happy about the front desk person, he was very rude and abrupt and not very helpful. Since we were there for one night, it didn’t bother me. We used the map to go around the places. The location is close to everything. 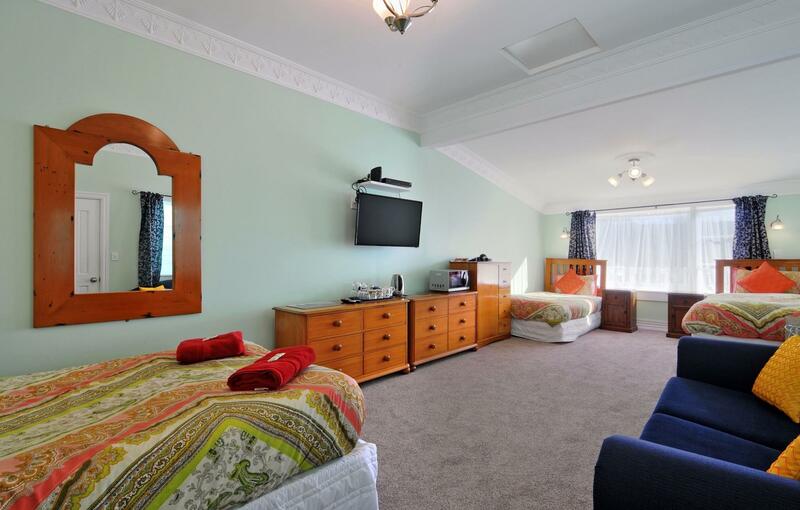 Richmond Guest House was located in residential area adjacent to Wellington Harbour, Te Papa Museum as well as Mount Victoria Lookout. Aside from its strategic location, John (the host) is very friendly and give you warm welcome. Everything was very nice. John's collection of antique furniture is wonderful. The beds were comfy and everything you need is either in your room or in the main house. Location is good, we were able to walk to and from the city quite easily. We arrived after 22 hours of travelling, were greated very friendly and give advice how to spend our time in Wellington after a short rest. We didn't need a car, only 15 minutes walk to the centre of town. As on every Thursday, the museum has long opening hours, we enjoyed that. After we came back, we slept like babies in the relaxed and quiet atmosphere and were greeted by a fresh breakfast and a nice talk with John, the owner. we could even walk to the car rental office and got some help from John again to park the car before leaving. Very nice start in New Zealand. The owner's first comment to us was, "I can see you are teachers, you didn't read the instructions". We had to leave at 6.30 a.m. to get the boat and asked for an early breakfast, but this was not possible as we "would probably wake the other guests." We just did not feel comfortable or welcome for our 2 days. Cute neighborhood. Didn’t like they my room was underground. Did like that breakfast was included. Very friendly host so if you’re first up in the morning prepare for a long chat. No tv in room and limited WiFi. On street parking only which was a few blocks away. All the facilities you need. A continental breakfast that goes beyond the definition: 11 different cereals, including gluten free and weight watcher varieties. Old world style guesthouse. Excellent breakfast. Tastefully furnished room. I stayed here cos it fit the work budget but if I were paying for it myself I wouldn’t be staying again. It’s very old and run down, and the floor is so sunken in places that the bed in my basement apartment was sloping at pretty heavy angle. There were live bugs in the breakfast cereal I chose...the owner threw it out pretty promptly but I’d already been put off the meal altogether. The owner is friendly, perhaps a little bit too friendly with his chattiness and I don’t think whispering things about other guests staying is very professional. He was also very rude and condescending when I tried to help by doing my own breakfast dishes. The location is ok, an easy 15-20min walk to downtown and close to Mt Victoria walks. 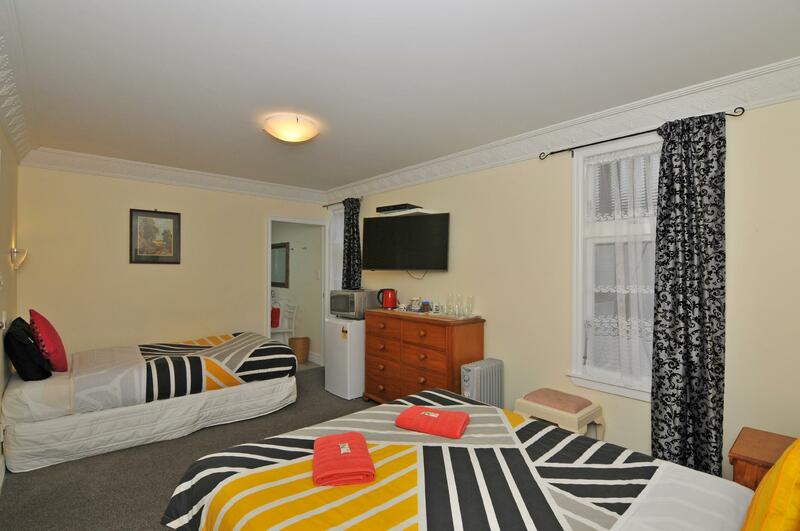 Richmond Guest House is by far the best value budget accommodation in Wellington. It's only an 8-minute walk to Courtney Place and not that much more to Te Papa. Breakfast is included as is as much wifi as you may need. The rooms are large, warm and well-kept. Make this your home away from home in Wellington. We thought the location is excellent, in a very nice part of Wellington. The room was quite comfortable and had good heating. The staff we dealt with are great and very helpful. The breakfast is basic, but nice. You have breakfast with the guest house owner, so you do feel a bit monitored when you are in the dining room, having to ask for toast. There is tea and coffee anytime your like throughout the day. Recommend this place. Most enjoyable stay, would stay again. Staff very welcoming and helpful. Continental breakfast ideal for us as we never eat "full English". Downhill 10 -15 minute walk into centre of town. Easily reached by buses if required. The location and not so expensive to stay. The owner was very nice and good to talk with. The selection of the breakfast could be better, for those who are going to stay for awhile. The only thing that I have to say about the condition of the rooms, is the smell inside. The air in the bedrooms could be better, because the smell inside the rooms, when opened was smell of a old furniture or carpet smell.As a tourist you expect to come into room that has a clean air inside. Otherwise it was very good to stay at Richmond. Was pleasant stay and safe.